Each room has it's own planning area. You can create a plan from your service's main planning area, or from in one of your rooms. The plan will live in the group where it is created (so you will not see a plan in your service's main planning area if it was created within one of your rooms). Learn how to move plans between rooms here. Who can access plans created in rooms? By default, any plan (whether it's created in the service's main planning area or a room planning area) is private to the person who started it. If you share a plan with all teachers, every teacher at your service will be able to access it no matter where the plan was started. If you start a plan from a room and you wish to share it only with the teachers in that room, you'll need to select those teachers individually. 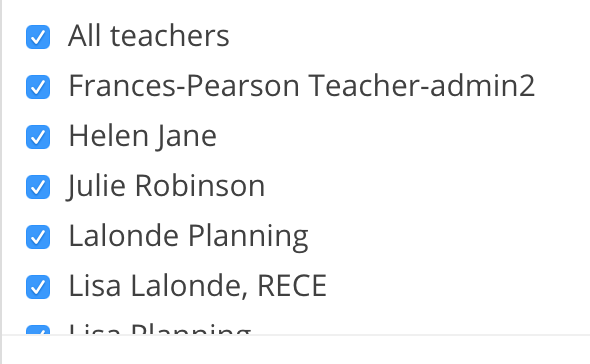 Room teachers should appear at the top of the list under a room plan's Share settings. Learn more about who can access plans. Sharing with parents from a room plan is the same as sharing with parents from a service-wide plan – you simply add the children you wish to the plan and share with those children's parents. Who receives notifications about room plans? 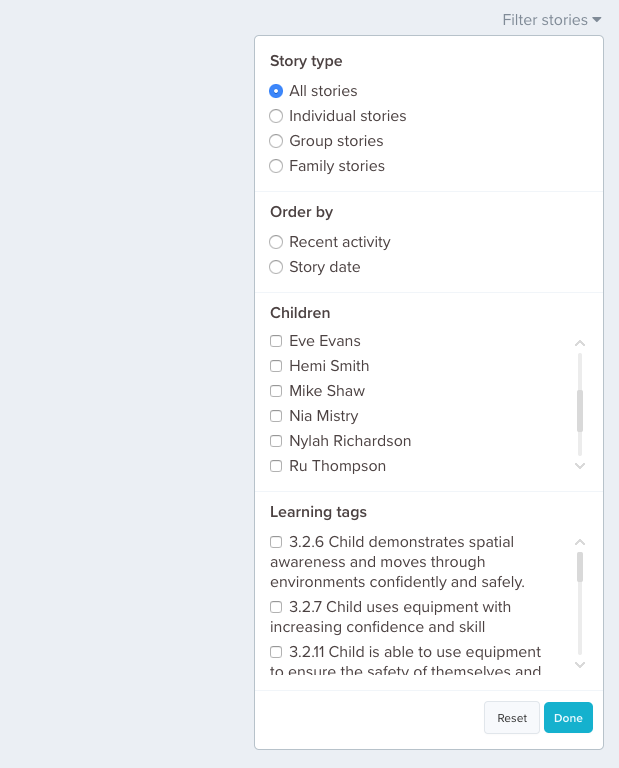 When a room plan is shared with all teachers, all teachers in the centre will receive notifications. 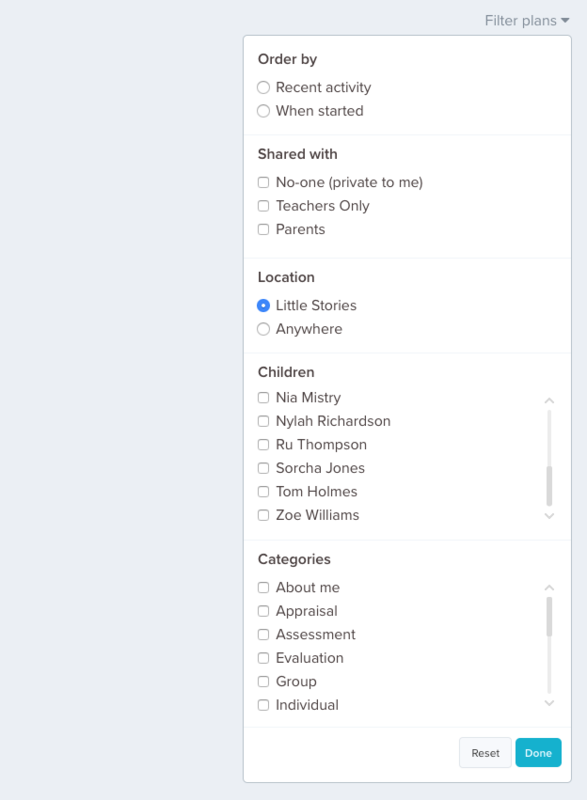 When a room plan is shared with only the teachers in that room, then only those teachers will receive notifications (though they can turn this off in their notification settings if they wish). 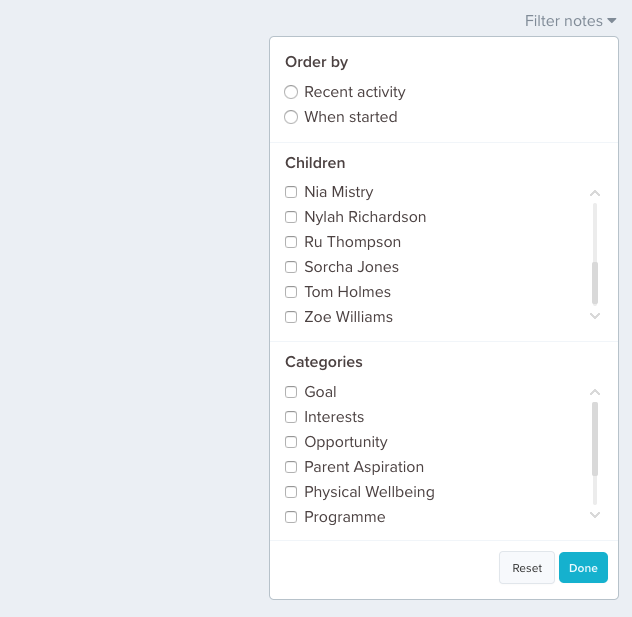 Each room can see a list of categories but this list is shared by all teachers and rooms in your whole service. If any teacher from any room adds, edits or deletes a category, these changes will be reflected across your service and all its rooms. If you wish to have room-specific categories, it's best to name them with your room name, eg. 'Programme – Infant's room' and 'Programme – Over 2s room'. 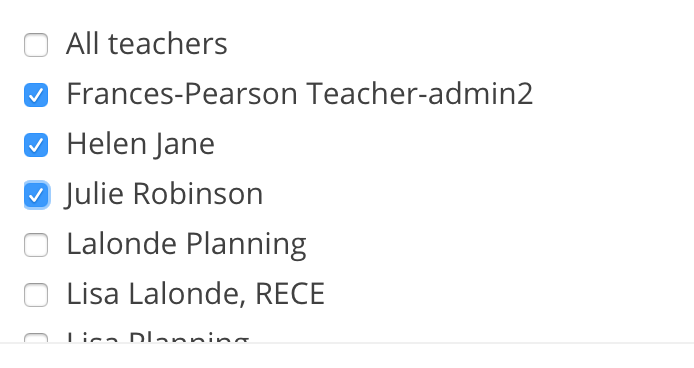 Each room can see a list of templates but this list is shared by all teachers and rooms in your service. If any teacher from any room adds, edits or deletes a template, these changes will be reflected across your service and all its rooms. If you wish to have room-specific templates, these will live in your service's templates area and be available to each room, so it's best to name them with your room name, eg. 'Programme – Infant's room' and 'Programme – Over 2s room'. 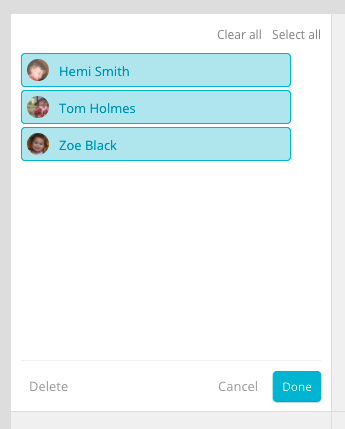 If children who are not in your room have been added to one of the templates, then that template will not appear in your room's template list. This means that if you wish to have room-specific templates (and you want to add children to the templates) then you need to make sure that you only add children from your room to them. If you want to edit or delete a template, you must do it in your service's main planning area, you cannot do it from a room.